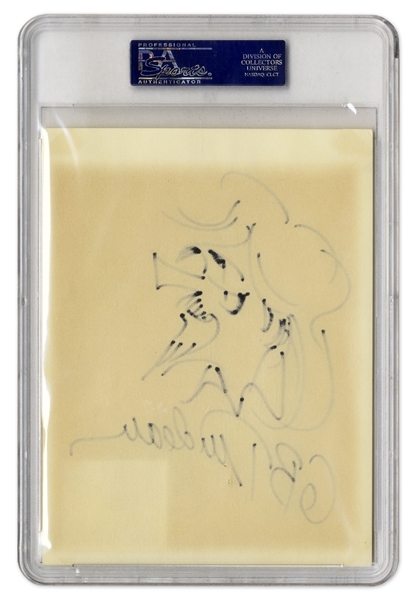 Garry Trudeau signed sketch of Zonker Harris, one of Doonesbury's favorite characters. 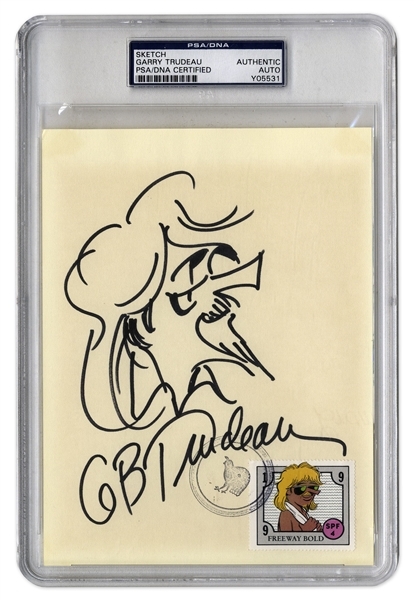 Signed ''GB Trudeau'' in black marker underneath the profile sketch of Zonker. Page also has a stamp of a very suntanned Zonker and a stamp of a bird, perhaps as a quasi-postmark. Measures 5.75'' x 7.75''. Near fine condition. Slabbed by PSA/DNA.